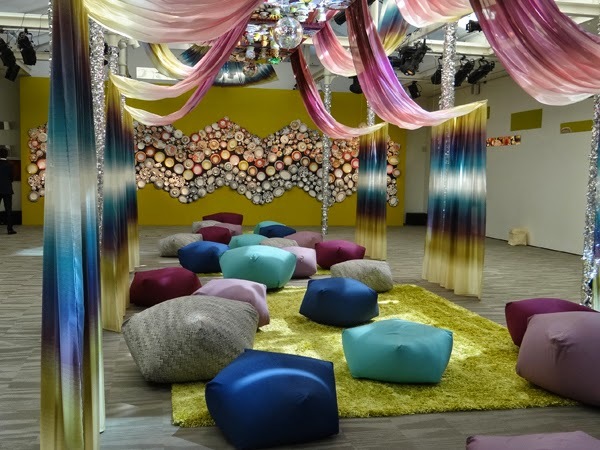 Missoni wowed visitors at Milan Design Week this year with a spectacular display of its signature zigzag and vibrant floral patterns. 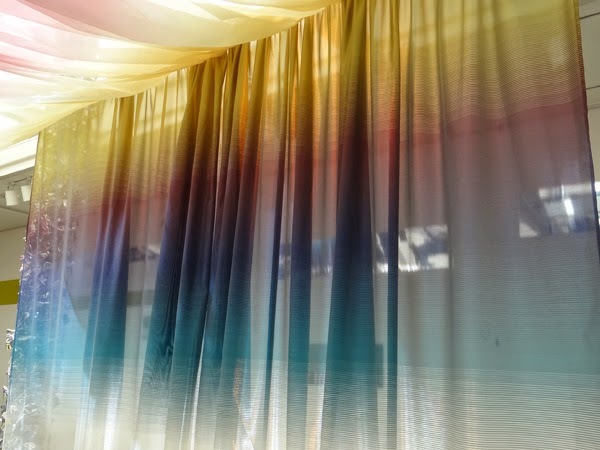 A central aisle is draped with swathes of sheer drapes, each printed with a multi-coloured gradient stripe. 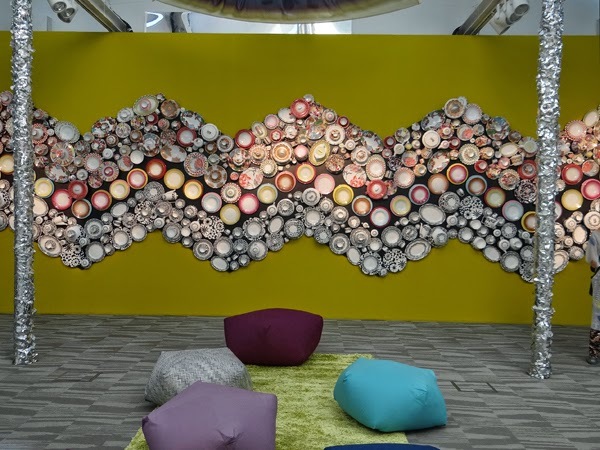 A pathway of the new hexagonal pouf leads to a wall clad with a giant zig-zag of tableware. 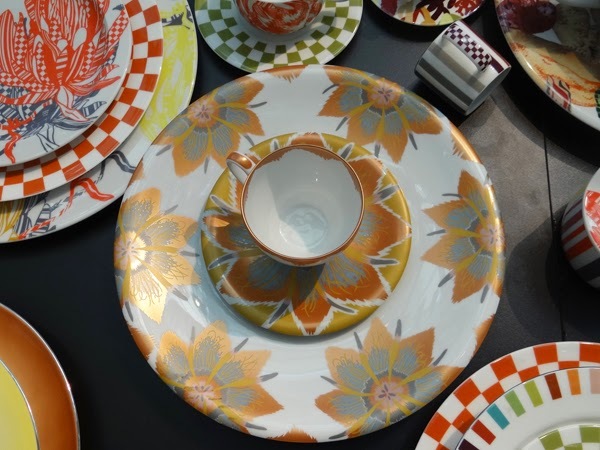 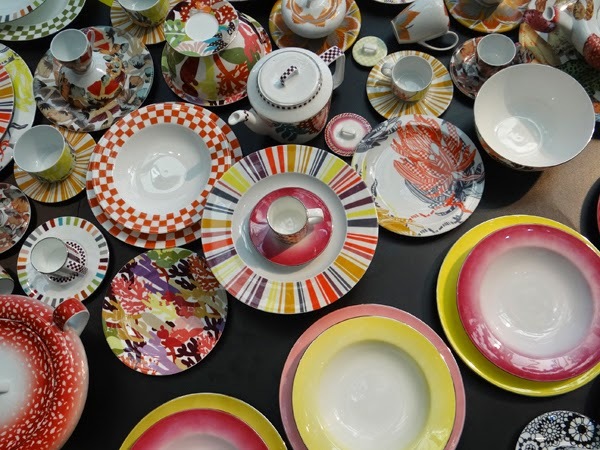 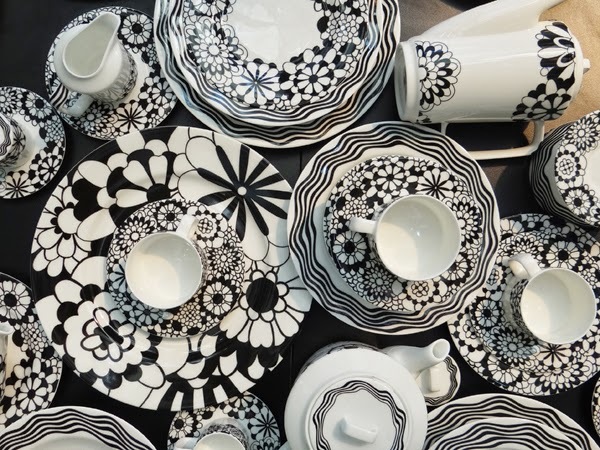 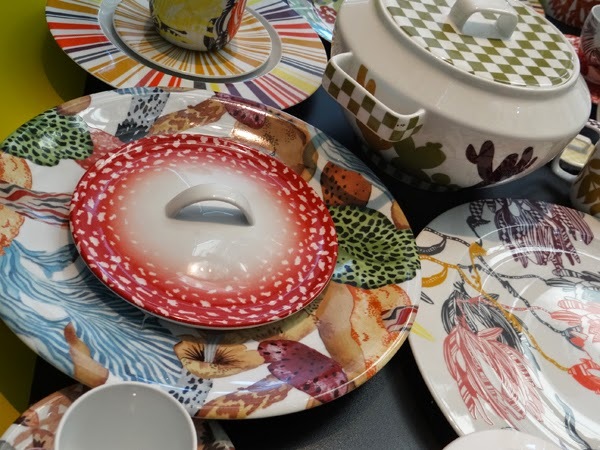 The ceramics by Richard Ginori for Missoni creates a great interplay pattern with bold flowers, stripes and checks. 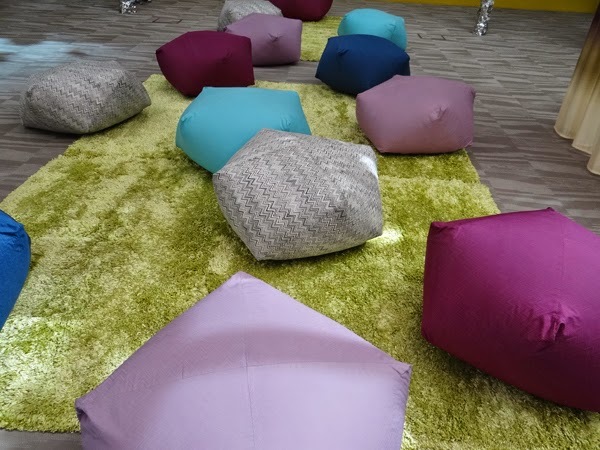 It is not until you look up towards the ceiling that the magical fantasy world is revealed. 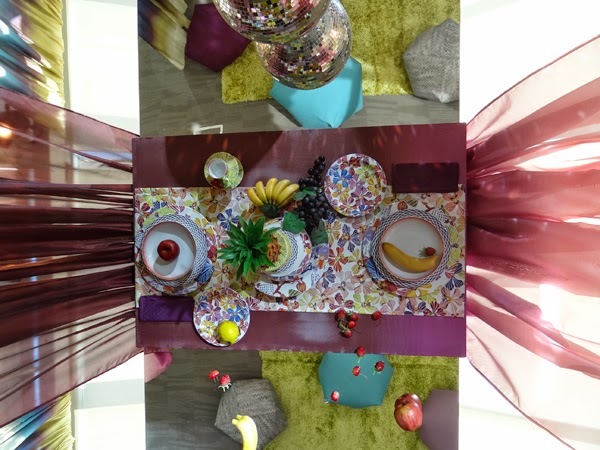 Mirrors and upside tables are set with porcelain, table linen and fresh juicy fruit and reflect the floor beneath, creating an intriguing illusion.